Prolonged incarceration and denial of bail during the pendency of trial/appeal are the bane of Indian criminal justice system. A recent order, passed by the Supreme Court on March 31, however, was an occasion for the expression of Supreme Court’s anguish, as well as its seriousness to find effective remedies to it. The case Ramu and another v State of Uttar Pradesh was heard by the bench of Justices J.Chelameswar, Abhay Manohar Sapre, and Amitava Roy, on March 31 in two parts. The appellants were convicted and sentenced under sections 148, 302 and 149 of the Indian Penal Code, as recorded by the Trial Court on January 20, 2007, for the offences committed in September 2005. The accused filed their appeals in 2007. The Supreme Court was not inclined to interfere with the Allahabad High Court’s rejection of the appellants’ plea for bail. But the Supreme Court considered the appellants’ plea to indicate a time frame for the disposal of their appeals and requested the High Court, “having regard to the singular facts and circumstances of the case”, to decide the appeals within a period of four months. The Supreme Court, while asking the High Court to hear the appeals on priority, took note of the fact that in the normal course, the High Court would still take several more years for the disposal of the appeal, having taken a decade already. In the second part of the hearing of the case, the Supreme Court bench sought to address the larger issue involved in the case, namely, the inordinate delay in disposal of appeals from convicts, undergoing imprisonment. Such a delay, the Court found, would make the appeals infructuous, as the convicts would have completed their sentences in the interim, thus defeating the very object of their appeals. In fact, its relief to the appellants, by requesting the High Court to dispose of their appeals in the next four months, stems from a similar case decided by another bench on March 9. In Hussain v Union of India (Criminal Appeal No.509 of 2017), the bench of justices Adarsh Kumar Goel and Uday Umesh Lalit, relied on A.R.Antulay v R.S.Nayak (1992), to hold that if there is violation of right of speedy trial, instead of quashing the proceedings, a higher court can direct conclusion of proceedings in a fixed time. Thus the bench directed the high court to dispose of the appeals within six months. As in the present case, in Hussain too, the Goel-Lalit bench sought to explore how best to provide relief in similar cases. After going through the case law on the subject, the bench observed that in spite of Section 436A in Cr.P.C., undertrial prisoners continue to remain in prisons in violation of its mandate. The bench then asked the High Courts to monitor the implementation of various guidelines laid down in previous cases for speeding up disposal of cases of undertrials pending in subordinate courts and appeals pending in the High Courts. In particular, it asked the High Courts to decide the bail applications within one month of their filing, and criminal appeals where accused are in custody for more than five years, at the earliest. 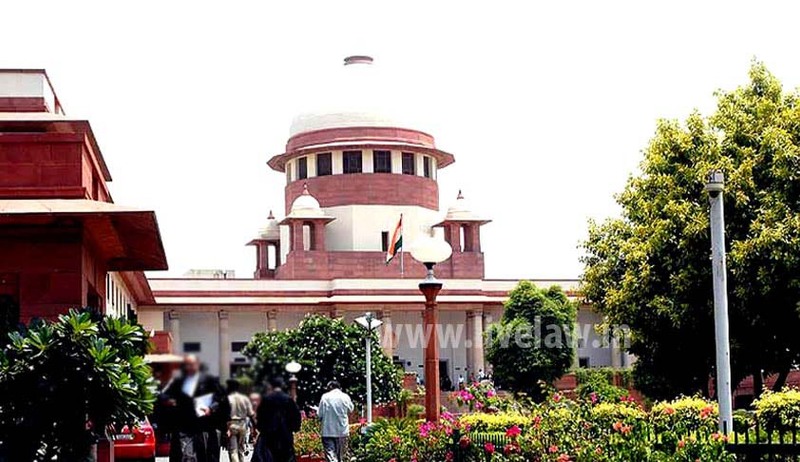 In Ramu v Uttar Pradesh, the Court went one step ahead, and requested senior advocates, C.U.Singh and Shyam Divan, to offer their responses and recommendations for outlining specific guidelines based on the recorded statistics of pending criminal trials, to start with, as a pilot project, of the high court of Allahabad. The Chelameswar-led bench directed the Registrar General of the Allahabad High Court to furnish within a period of four weeks the relevant data on pendency of criminal appeals, institution and disposal statistics of last 10 years, average disposal time of the appeals, identified causes for the delay, steps already taken to remedy the situation, the mechanism in place to oversee the process, and the progress recorded. Further hearings of this case, expected to be held after four weeks, are likely to throw more light on the issue.